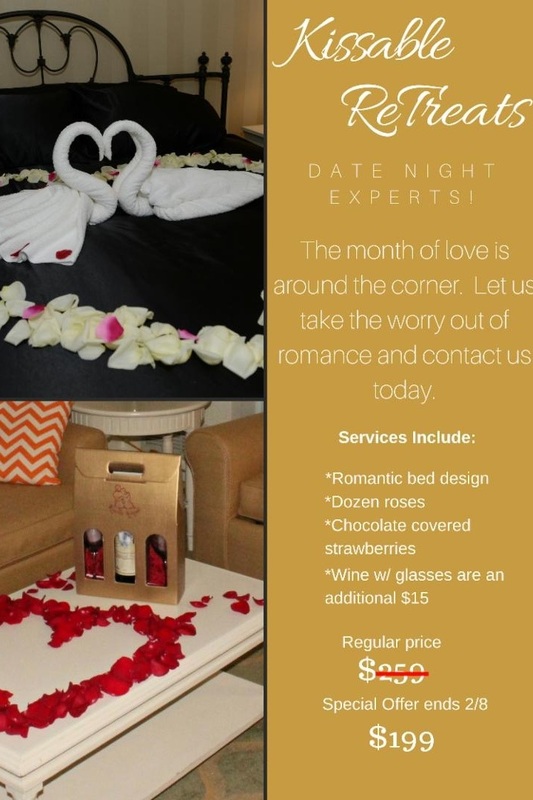 We are having a special offer for all the love birds. Allow us to to take the worry out romance. Make sure to book now! This offer ends 2/8/2018.